The 3 Series Sedan’s optional front seatbelts will tighten automatically in the event the vehicle detects an impending crash, improving protection against injury significantly. The S60 doesn’t offer pre-crash pretensioners. The 3 Series Sedan has standard BMW Assist, which uses a global positioning satellite (GPS) receiver and a cellular system to remotely unlock your doors if you lock your keys in, help track down your vehicle if it’s stolen or send emergency personnel to the scene if any airbags deploy. The S60 doesn’t offer a GPS response system, only a navigation computer with no live response for emergencies, so if you’re involved in an accident and you’re incapacitated help may not come as quickly. Both the 3 Series Sedan and the S60 have standard driver and passenger frontal airbags, front side-impact airbags, side-impact head airbags, front seatbelt pretensioners, plastic fuel tanks, traction control, electronic stability systems to prevent skidding and available all wheel drive. The 3 Series Sedan’s corrosion warranty is 2 years and unlimited miles longer than the S60’s (12/unlimited vs. 10/100,000). BMW pays for scheduled maintenance on the 3 Series Sedan for 1 year and 14,000 miles longer than Volvo pays for maintenance for the S60 (4/50,000 vs. 3/36,000). To reliably start during all conditions and help handle large electrical loads, the 3 Series Sedan has a standard 900-amp battery. The S60’s 520-amp battery isn’t as powerful. The battery on the 3 Series Sedan is in the trunk, which protects it from hot underhood temperatures which can degrade battery life. By keeping the 3 Series Sedan’s battery 20 to 30 degrees cooler, its life is increased by years. The S60’s battery is in the hot engine compartment. J.D. 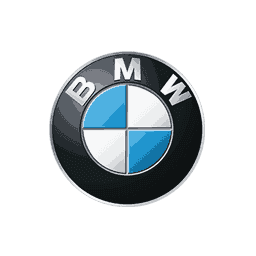 Power and Associates’ 2013 survey of the owners of three-year-old vehicles provides the long-term dependability statistics that show that BMW vehicles are more reliable than Volvo vehicles. J.D. Power ranks BMW 16th in reliability. With 16 more problems per 100 vehicles, Volvo is ranked 24th. The ActiveHybrid 3’s 3.0 turbo 6 cyl. hybrid produces 10 more horsepower (335 vs. 325) than the S60 T6 R-Design’s optional 3.0 turbo 6 cyl. The 3 Series Sedan’s 2.0 turbo diesel produces 22 lbs.-ft. more torque (280 vs. 258) than the S60 T5 Drive-E’s standard 2.0 turbo 4 cyl. The 3 Series Sedan’s 2.0 turbo diesel produces 14 lbs.-ft. more torque (280 vs. 266) than the S60 T5’s standard 2.5 turbo 5 cyl. Regardless of its engine, the 3 Series Sedan’s engine automatically turns off when the vehicle is stopped, saving fuel and reducing pollution. (Start/Stop isn’t accounted in present EPA fuel mileage tests.) Volvo only offers an automatic engine start/stop system on the S60 E-Drive. The 3 Series Sedan’s standard front and rear disc brakes are vented to help dissipate heat for shorter stops with less fading. The rear discs on the S60 are solid, not vented. For better traction, the 3 Series Sedan has larger standard tires than the S60 (225/50R17 vs. 215/50R17). The 3 Series Sedan’s optional 255/35R19 rear tires provide better handling because they have a lower 35 series profile (height to width ratio) that provides a stiffer sidewall than the S60’s optional 40 series tires. Changing a flat tire near traffic can be dangerous and inconvenient. The run-flat tires standard on the 3 Series Sedan can be driven up to 50 miles without any air pressure, allowing you to drive to a service station for a repair. Run-flat tires aren’t available on some tire packages on the S60. The 3 Series Sedan has standard front and rear gas-charged shocks for better control over choppy roads. The S60’s suspension doesn’t offer gas-charged shocks. For a smoother ride and more stable handling, the 3 Series Sedan’s wheelbase is 1.3 inches longer than on the S60 (110.6 inches vs. 109.3 inches). The 3 Series Sedan’s front to rear weight distribution is more even (49.9% to 50.1%) than the S60’s (61.7% to 38.3%). This gives the 3 Series Sedan more stable handling and braking. The 320i handles at .92 G’s, while the S60 T5 pulls only .85 G’s of cornering force in a Motor Trend skidpad test. The 335i xDrive executes Motor Trend’s “Figure Eight” maneuver 1.2 seconds quicker than the S60 T5 (25.6 seconds @ .75 average G’s vs. 26.8 seconds @ .64 average G’s). The 3 Series Sedan has 3 cubic feet more passenger volume than the S60 (96 vs. 93). The 3 Series Sedan has 1 inch more front headroom, .1 inches more front legroom and 1.6 inches more rear legroom than the S60. The 3 Series Sedan has a larger trunk than the S60 (13 vs. 12 cubic feet). To make loading groceries and cargo easier when your hands are full, the 3 Series Sedan’s available trunk can be opened just by kicking your foot under the back bumper, leaving your hands completely free. The S60 doesn’t offer a hands-free gesture to open its trunk, forcing you to put cargo down if your hands are full. The 3 Series Sedan (except 320i) offers an available heads-up display which projects speed and other key instrumentation readouts onto the windshield, allowing drivers to view information without diverting their eyes from the road. The S60 doesn’t offer a heads-up display. The 3 Series Sedan’s front and rear power windows all open or close fully with one touch of the switches, making it more convenient at drive-up windows and toll booths, or when talking with someone outside the car. The S60’s rear power window switches have to be held the entire time to open or close them fully. If the windows are left down on the 3 Series Sedan w/Comfort Access the driver can raise them all using the key in the outside lock cylinder. On a hot day the driver can lower the windows from outside the vehicle using the key in the outside lock cylinder or the keyless remote. The driver of the S60 can only operate the windows from inside the vehicle, with the ignition on. Heated windshield washer nozzles are standard on the 3 Series Sedan to prevent washer fluid and nozzles from freezing and help continue to keep the windshield clear in sub-freezing temperatures. Heated windshield washer nozzles cost extra on the S60. A power rear sunshade is optional in the 3 Series Sedan (except 320i) to help block heat and glare for the rear passengers. The S60 doesn’t offer a rear sunshade. According to The Car Book by Jack Gillis, the 3 Series Sedan is less expensive to operate than the S60 because it costs $333 less to do the manufacturer’s suggested maintenance for 50,000 miles. Typical repairs cost much less on the 3 Series Sedan than the S60, including $76 less for an alternator, $46 less for fuel injection and $521 less for a fuel pump. Motor Trend performed a comparison test in its September 2013 issue and they ranked the BMW 335i xDrive first. They ranked the Volvo S60 T6 R-Design AWD fifth. J.D. Power and Associates rated the 3 Series Sedan third among compact premium cars in owner reported satisfaction. 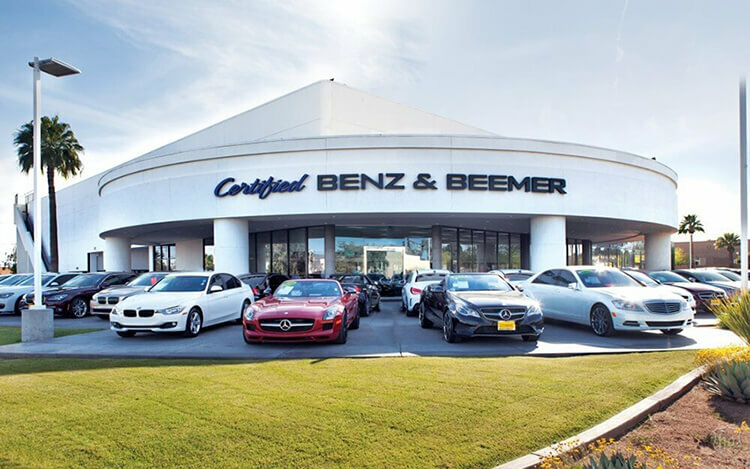 This includes how well the vehicle performs and satisfies its owner’s expectations. The S60 isn’t in the top three. The 3 Series was chosen as one of Car and Driver’s “Top Ten” for 20 of the last 20 years. The S60 has never been a Car and Driver “Top Ten” pick. The 3 Series was chosen as one of Automobile Magazine’s “All Stars” for 13 of the last 18 years. The S60 hasn’t been picked since 2011. The 3 Series was selected by Automobile Magazine as their 2006 Car of the Year. The S60 has never been chosen. The BMW 3 Series outsold the Volvo S60 by over five to one during 2013.